Whether you're going on a long camping trip or having a nice lunch outdoors, Igloo coolers provide an assortment of features to keep your drinks cold. 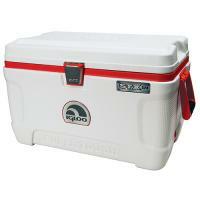 Igloo carries portable marine coolers for trips to the lake and lunch bags and totes for quick meals while hiking. 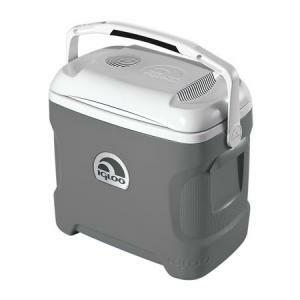 Igloo also offers an array of coolers parts, including straight-rim 4 oz cups and 5-gallon beverage coolers with spigots and reinforced handles. 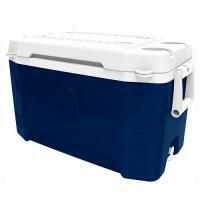 And don't forget, all of our Igloo coolers, like every product we sell, come with a 30-day 100% money-guarantee, so you can buy with confidence. 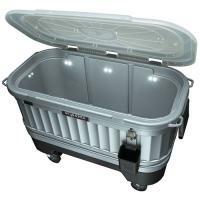 Very nice especially like the built in small lid that's on top of the main lid. Seems to keep ice longer than my older one. 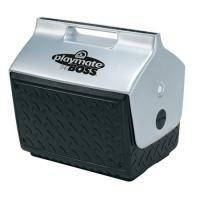 I use this for Civil War reenacting and everyone else wanted to get one. 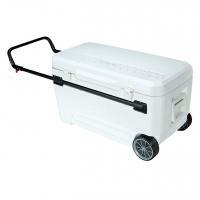 This is a great looking and durable ice chest. You have great service also! It is perfect!!!! 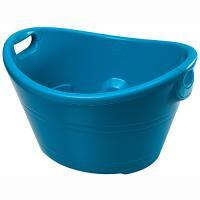 This item was just what I was looking for after having lost one for my Igloo. I bought two, so that I could have a spare. 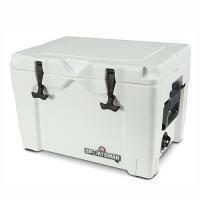 It is great to find a cooler this size with a drain plug. 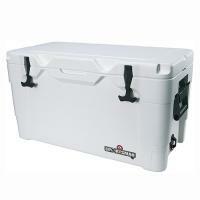 It kept our food cold on a camping trip similar to other good coolers we've had, and fits perfectly under our pick-up truck's tonneau cover so we don't have to open up the whole cover just to access drinks for the kids. The bottom of this particular cooler is not perfectly flat, so when it sits empty on a hard surface it rocks back and forth a bit. For it's size it is very powerful. It can hold a lot and gets to below 40 degrees. My order was effortless,I received it when promised and in new condition. Igloo began in 1947 as a small metal working shop with two employees. The Company produced metal water coolers that were designed to replace traditional wooden buckets that provided drinking water for construction workers, oilfield workers and longshoremen on the docks. Through a series of joint ventures, mergers and acquisitions, Igloo Manufacturing produced and distributed three brands of metal water coolers, Horton's, Polar King and Igloo. 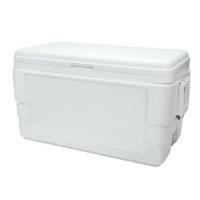 The company's first ice chest, a 22-quart metal unit with plastic liner, was produced in 1960. Early in 1960, the Company merged with Production Tooling Company and the John T. Everett Company, a Memphis, Tennessee firm, became the sales and marketing arm of the Company. The result was a name change to Texas Tennessee Industries (TTI). 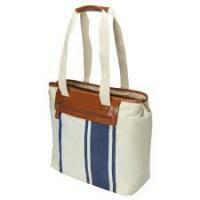 In 1962, the Company went public and began selling its stock on the Over the Counter Market. 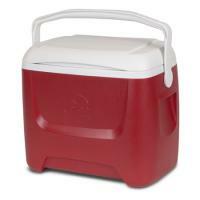 By 1962, TTI had grown to 73 employees and in that same year they offered the first all-plastic ice chest. 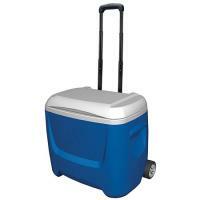 The Igloo all-plastic ice chest was offered as an alternative to metal coolers and were initially sold to beer manufacturers. 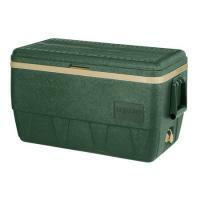 In 1963, Oshman's Sporting Goods in Houston became the first retailer to buy the plastic ice chest and offer it to consumers. The excellent reputation of the Igloo line made the "Igloo" name recognizable to consumers and retailers throughout the sales territory. In 1971, the TTI name was dropped in favor of Igloo Corporation as the company's new name. By the end of 1971, the employee population had grown to 433; and Igloo was sold to the Coca-Cola Bottling Company of New York, Inc.
Today, Igloo remains the number-1 ice chest manufacturer worldwide; and we are excited about improving and enhancing our existing product line and developing new products to meet the needs of consumers.